Brisbane City Council has approved development of The Fortitude, a 30-storey tower which will be the tallest residential building in Fortitude Valley. Place Design Group Planning Lead Angus Green said planning success was due to their extensive and collaborative, stakeholder engagement process. “The project will be a catalyst for transformative and positive change within the ‘old’ Valley, delivering much needed critical mass to the Brunswick Street Mall, encouraging further investment and redevelopment opportunities," Mr Green said. 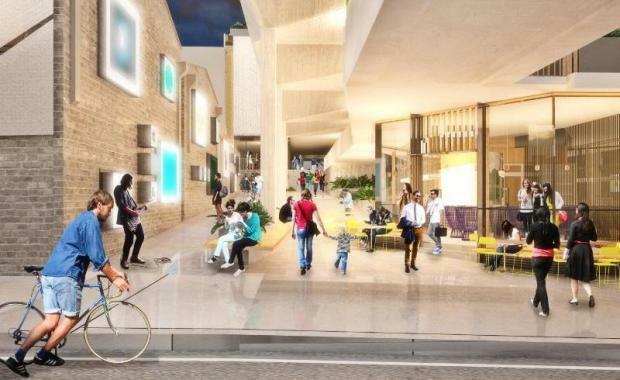 “The project is expected to further influence the completion of the Bakery Lane precinct which adjoins the site, as anticipated in the Urban Renewal Brisbane’s vision for Bakery Lane. "Set to become the Valley’s tallest residential building, the building formerly called the Optus Centre is being re-developed by EG Funds Management and will feature more than 360 residential apartments and four retail tenancies over 30 storeys.